AncestryDNA seems to have provided two things for me. The first is confirmation of the family research I have already done. DNA’s independence from traditional family history sources gives my family research additional surety. But do I really need that extra surety? Not really. The second thing AncestryDNA has provided me is heaps and heaps of traditional family history research. It’s not as if I haven’t enough family research from my pre DNA days that still require attention. AncestryDNA has just dumped hundreds upon hundreds of matches associated with my DNA tests and left me with no apparent guidance or control over how I process all these matches. Why is this so? It’s because, in my usual fashion, I have delved deep into my DNA matches without considering the overall picture. The danger here is that my AncestryDNA system or model doesn’t fit my reality. I am looking for grass in the wrong paddock. Ancestry announced last November that it has now sold 14 million DNA kits worldwide. AncestryDNA’s marketing is obviously working. Ancestry is selling something that the market wants. I have even submitted DNA samples for testing myself. Ancestry sold me something I though I wanted. It wasn’t confirmation of the research I’ve already done. It’s not about controlling how I select a small group of matches from the thousands of matches. AncestryDNA provides hope. We provide DNA samples in the hope that the results will solve all our family history brick walls. For we all have brick walls. Starting out on our family history journey we may only have two – our natural parents. Now, my six generation fan chart hides at least ten brick walls. Which brick wall should I research first? There is something else going on with AncestryDNA (or autosomal matches more generally). Another case where I’ve been in the wrong paddock. Family history is the history of family relationships. I can build my fan chart using the relationships child to father and child to mother. When I create a family tree I am creating a network where family members come together. My family tree is a special kind of network. It is quite different than the Melbourne tram network and quite different the relationship of plants in a dry sclerophyll forest. The family relationships that define my family tree are well understood. Family tree software uses the relationships of child to parents in my family file to build and chart family trees. Too often I focus on the timeline of an individual within my family tree. It is the relationships of one individual to another that drives the basic structure of a family tree database. The ability to add a life story of each individual in that family tree is just an added bonus to the basic purpose of having a family tree database. DNA matches are about relationships. A family tree requires more than one person. A tree of a single person tells me nothing about that person’s family relationships. My AncestryDNA test alone tells me nothing about my potential family relationships. 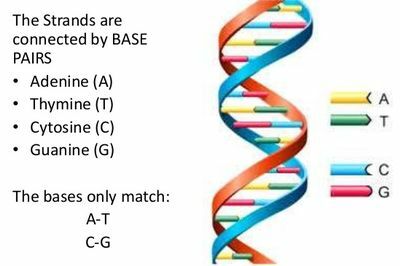 I need DNA matches to show DNA relationships. In an ideal world I would start using DNA matches in the same way I have always used child to parent relationships to build my family tree. There are two problems with using my method of building my fan chart with a number of interlocking child to parent relationships. Firstly, DNA tests can only be provided by living people. Secondly, an AncestryDNA match gives some indication of the possible relationship but not the actual relationship. More information is required. If the two parties to the match have family trees linked to the tests this may be sufficient. But I’m finding for second cousins and more remote relatives it just means more traditional family research, a great deal more, to find the information to confirm the relationship suggested by the DNA match. Then there are the instances where hope is dashed. Where the Ancestry family trees don’t provide the solution to the possible DNA match. Nor does further traditional family history research. Do we see instances of hopes dashed in AncestryDNA advertising? Of course not. AncestryDNA does the difficult. For the rest, it’s business as normal for family historians. More research is required. It takes us a little time to uncover those serendipity moments where the walls come tumbling down. When some of us started researching our family history we were advised to start with ourselves, then confirm our links to our parents, grandparents and so on up our family tree. Based on our family stories, photographs and the written records we had we developed our research plan, one that was often focused on looking for more information about a favourite ancestor. In doing so we used a variety of sources. Now we have another source to add to our toolbox – DNA – and just as we planned our traditional family research plan so too can we plan our DNA research plan. Just as in the past we scraped and saved to purchase the next birth, marriage or death certificate so too we should be saving up to purchase the next DNA test in our DNA research plan. Not to have a DNA plan leaves us open to being flooded with hundreds of supposed DNA matches that in general have little, if any, application to our DNA research plan. We are looking for specific matches – those with other researchers who have ancestors, or an ancestor, in common with ourselves. The first step in our DNA research plan is to avoid those bright shiny objects that pass across our eyes and distract us. The first bright shiny object is DNA advice provided by the medical profession. In our role as family historians we are not entitled to provide medical advice. Consequently, the DNA we use for our family history research is quite separate from that used for medical purposes. The second beguiling object that floats across our eyes is DNA used for anthropological purposes. For example, it has been exciting to read the research that found evidence of human occupation in northern Australia by 65,000 years ago (see Chris Clarkson et al “Human occupation of northern Australia by 65,000 years ago” Nature 547 306-310 (20 July 2017). But do such discoveries help us conquer our own brick walls? The discovery in northern Australia was dated by reference to the fluorescence in the sand in which the discovery was made. Where is the link from our DNA today back to DNA of 65,000 years ago. However, what is important to note about such discoveries is that they are made at a point in time. When we think about our own ethnicity are we looking at one point in time? My Parents were born in Australia. Is my ethnicity 100% Australian? Six of my great grandparents were born in Australia. Two in England. Is my ethnicity 25% English? Most of my second great grandparents were born in England. Does this make my ethnicity 81% English? It certainly doesn’t account for my Irish fourth great grandfather, John Bourke Ryan. I have followed our paper family tree up through the branches for this example. 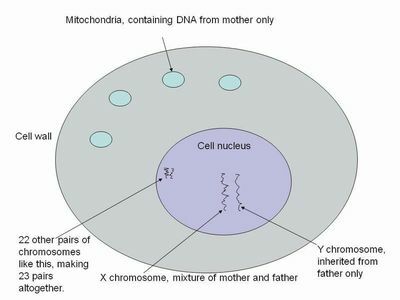 With respect to DNA we receive half our DNA from our father and half our DNA from our mother. But which half do we receive? And which half, as displayed in our family tree did they receive from their parents? And which half did they receive from their parents? And so on. Why, then, do we expect our ethnicity to be precisely the same as that of our siblings when there is doubt about what was received from which grandparent in the first place? 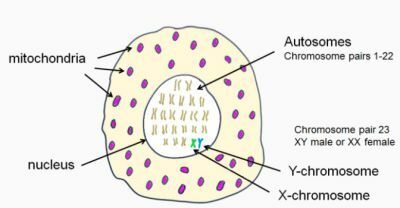 or example, on Chromosome 21 all my maternal DNA came from my maternal grandfather Learmonth. My sister also received all her maternal DNA from our grandfather Learmonth. While our brother also received most of his maternal DNA from our maternal grandfather Learmonth some of his maternal DNA came from our maternal grandmother Learmonth. All my paternal DNA came from my paternal grandfather Baulch whereas my sister’s paternal DNA came from our grandmother Abbey. 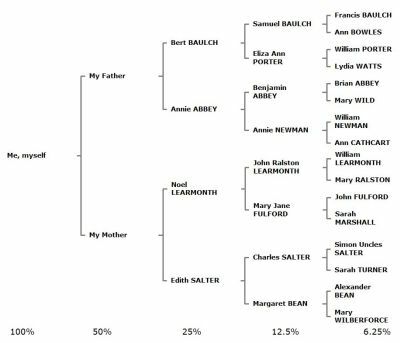 Our brother’s paternal DNA originally came about half from our paternal grandfather Baulch and about half from our paternal grandmother Abbey. This simple example shows quite clearly that we each are unique. While receiving half our DNA from our father and half from our mother what we received that came from each of our grandparents may be very different. If we each calculate our proportion of DNA we get from each of our grandparents the answer is not the same for any two of us. Even at the grandparent level our ethnicity is different. Each of us is, after all, unique. So why do we expect our ethnicity to be the same? If we are using DNA as a source for family history purposes we should confine our family history research to the DNA that is used for genetic genealogy or family history purposes. Results based on DNA used for medical purposes are given for medical reasons. Results based on DNA with ancient origins are for anthropological purposes. 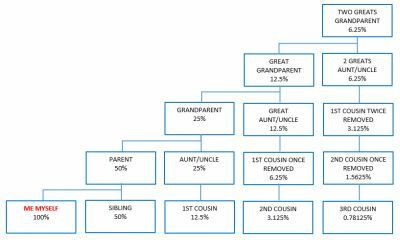 We family historians have our own little sections of DNA that we use for family history purposes. This doesn’t mean we can’t put our anthropological hat on now and then and tell a good story about our ancient origins. However, there is not necessarily a link between our ancient origins and our family stories of very recent times. and when I get back from just cruising around the GSV will be taking bookings for DNA consultations (more here) . I expect to concentrate on autosomal DNA tests and I shall only be available on Fridays. Traditional family history and genealogy take a back seat. Genes and DNA have taken over. In just three years. I was disappointed when we first received DNA results for a cousin. Not anymore. I have listened to the presentations about genes and DNA here at the Canberra Congress. We haven’t even scraped the surface yet. This is before my daughter Alica mentioned the article about detecting county boundaries by genetic data alone just published in Nature. It’s like starting traditional genealogy all over again.